Carbon efficiency is a squeaky green offshoot of operational efficiency. The ‘Internet of Things’ is far from being a future trend. It has already arrived in most sophisticated manufacturing and petrochemical plants, where temperature and pressure conditions must be kept at optimal levels at all times; and reactions and assembly lines are so multifarious that the potential for human error cannot be allowed to intercede. Almost all machines in modern factories have a number of settings, or configurations. To adjust the all the settings manually could take a month, or more. If all components are linked to an overarching control system, the time taken is reduced dramatically, to a matter of days. Nunzio Bonavita, business development manager for ABB Measurement Products, Italy, in his discussion of how automation increases efficiency, cites the example of the petrochemical complex in Termoli, Italy, where “complex chemical processes” are controlled by over 500 feedback control loops. He notes also that the self-adjusting functionality of the control devices meant that fuel wastage was minimised, and the plant’s overall consumption of methane was cut by more than 5%. Another example is Qatar’s aluminium smelting complex Qatalum, near Mesajeed Industrial City. The 17-facility complex is one of the world’s largest, and also one of the most efficient aluminium smelters. All 17 plants are connected through an automated process control system. A system this big really necessitates automated configuration: in total the network comprises more than 1,000 ‘nodes’, connection points and communication endpoints. The technical contractors brought in to install a unified control and monitoring system, ZMS Technology, used Hirschman’s Industrial HiVision network managing system (NMS). Additionally, it had the advantage common to all automated systems, which is that the history of configuration levels was documented, leaving a comprehensive log that could be scrutinised in the event of operational problems or just to find further efficiency gains. A particular issue in the hot and arid Qatari climate is cable breakdown, and Qatalum often suffered from cable crimping and transmission errors as a result. An integrated control system can “dig down from the port to the switch and even to the cable to identify an area of potential failure.” Without the Industrial NMS capability, and what was the only solution in the olden days, was “to shut down a portion of the network and sending a process engineer to troubleshoot—a very expensive process,” reported ‘Automation World’. The final way in which industrial network management systems make plant operators’ lives easier is by allowing for remote operational access – though internet security precautions are paramount. The 2012 incident at state-owned and state-of-the-art oil producers Saudi Aramco, where a malware attack enabled anti-government forces to spy on and even interfere with communication processes, provided a lesson for other facilities dependent on a computerised control system. Passwords must be continually updated and hardware disks brought on-site subject to checks. Fabrice Tourre, found guilty of securities fraud while he was a trader with Goldman Sachs, will teach economics at the prestigious University of Chicago. According to ‘The Chicago Maroon’, the institution’s student paper and origin of the information, the Frenchman, aged 34 years and with a doctorate in economics, will give in the second semester several courses pertaining to “the elements of economic analysis”. Nicknamed ‘Fabulous Fab’ – it was thus that he signed his emails – Fabrice Tourre was found guilty in August 2013 of securities fraud, over derivatives on ‘subprime’ property loans sold to investors just before the financial crisis in 2008. Accused by the American market rule-enforcers (the Securities and Exchange Commission) of having tricked investors and made illicit gains through the creation and the sale of complex financial products dependent on risky real estate investments, Fabrice Tourre had been judged “responsible” on six accusations out of seven, over the course of a widely publicised trial in New York. 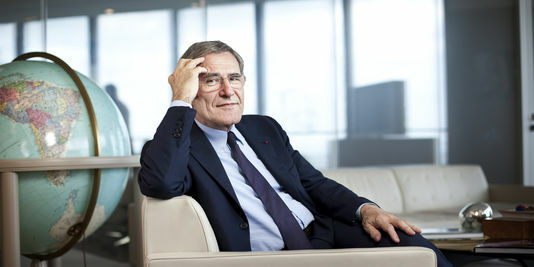 Gérard Mestralle, CEO of GDF Suez, announced on Tuesday 27 February the company’s 2013 results, heavily penalised by €14.9 billion depreciation of assets in the power stations and their gas storage facilities in Europe. The net result reached €3.4 billion, but with these depreciations factored in, the 2013 accounting period ended in a loss of €9.7billion. Q: The energy sector in Europe is undergoing an unprecedented crisis. How was that reflected in your results? The 2013 accounts reflected my desire for a rapid and radical transformation of the group. Four branches acquitted themselves well or very well, but the fifth, Energie Europe, was struck by a fall in demand, the combination of low-price American coal and significant over-production in power generators. Supported unanimously by the management board and the major shareholders like the state and Albert Frère, I have decided to pass all the toll onto the steel wool. And first to depreciate massively, to the height of €14.9 billion, the accounting value of certain of our assets in Europe, essentially the thermic power stations and the gas storage facilities. This action will not have any impact on the central funds of the group, which are in any case very solid. Q: Do you believe that the sector’s crisis in Europe will endure? Yes, these changes are enduring and profound. The overcapacity will continue. Even if the wild growth in renewable energy – above all in Germany, Spain and in Italy, – starts to sag, the new production capacity will come into action so consumption will stagnate or fall. These last few years, we have closed or put into hibernation 11.5 gigawatts in gas power stations, the equivalent of 12 nuclear reactors! At the heart of 11 enterprises of the ‘groupe Magritte’, which has warned Brussells of the situation, there are more than 50 GW which were closed or frozen. Q: Have you not discovered the problem a bit late? No one, among all the countless politicians or from the Commission, had anticipated it. I was the first, in May 2013, to alert them and to say that they had moved too fast and too far into renewables. Honestly, France could not influence much: it had just 7GW of wind and of solar, while Germany had 70GW. That is to say, renewables will continue to develop. The energy transition is irreversible, and is anyway desirable. Q: Has Brussells really responded to your demands? On several big points, yes. The Commission intends to propose to the European Council a drop in greenhouse gas emissions of 40% by 2030. The German Chancellor Angela Merkel and François Holland have already declared themselves in favour of this objective. Brussells also wants to end the system of subsidies for renewable energy to create a level playing field. Finally, the Commission has put back on track the market in carbon trading. It should arrive at a CO2 price level consistent with the 40% objective and give a signal to engineers to invest in production machinery which has low carbon emissions. Q: What positive points emerge from the 2013 report? There are many, despite these difficulties. Our turnover has reached €81.3 billion and EBITDA of €13.4 billion. The bare net result of €3.4 billion is near the top of the margin we had set. Our liquidity stands at €17.5 billion, of which €8.8billion is in our company account, our raw investments at €7.5billion. The year was also marked by major commercial and industrial successes, with the rise in electricity production by the non-electricians, breaking into attractive markets (South Africa, Mongolia, India, Morocco..) and the strengthening of our positions in the gas supply chain (contracts and infrastructure) in Azerbaijan, the United States, in Mexico, in Brazil or in Uruguay, where GDF Suez is going to operate the largest offshore oilrig in the world. Q: What is in store for 2014? We have revised upwards all our financial targets. We completed our programme of debt payoffs at the end of 2013, more than a year ahead of time, leaving our net debt level at €30billion, 2.2 times lower than Ebitda, one of the most impressive ratios in the sector. We are determined to reward our shareholders. For 2013, we propose a dividend of €1.5 per share, some €3.6billion, the most significant leap in renumeration since Total. But in the years to come, we will distribute between 65% and 75% – rather than 100% – resulting in a minimum of € 1 per share, a total of €2.4billion. Q: What are you going to do with your financial margins? 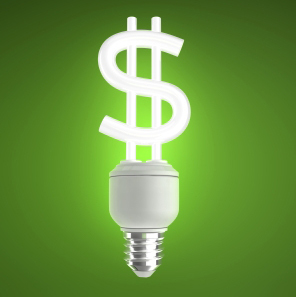 Finance the group’s development, hinged around our two strategic objectives defined by the management board in November 2013: be the leader in the energy transition in Europe and the energy provider of choice in strong growth countries. Over 2014 to 2016, our raw investments will sit between €9billion and €10billion on average per year. We will recruit 15,000 employees per year, of which 9,000 will come from France. Q: The energy transition, is it well underway in Europe? It is on the march. We want to grow in all renewable methods producing heat or electricity: biomass, biogas, wind, solar, geothermic, marine energy… But also in energy services, where we retain the top position in France, in Belgium, in Italy and in the Netherlands. In Europe, where growth is stagnating, energy consumption is declining by 1% to 2% per annum, while the demand for energy services is expanding by 2.5%. And it’s that which we are targeting the most. These service activities which deploy a network of 90,000 operators, we want to develop them strongly in regions of strong growth where we have already set down entrenched positions in electricity production, like in Asia, the Middle East and in South America. These countries have a powerful demand, either because they consume lots of energy, or they have dilapidated infrastructure. You have to integrate this market which is today fragmentary: with “only” €16billion in turnover, GDF Suez is the world number one in energy services. Q: New horizons are emerging. In which other sectors will you invest? The depression in Europe is more than offset by the rest of the world. Other than our energy services, GDF Suez will reinforce its independent electricity production, and gas infrastructure (terminals, pipes, storage), that we want to develop, merging the historic expertise of ex-Gaz in France with the know-how of Suez on an international scale. One last example, our Cameron project, a gas liquefaction plant in the US, which is going to receive the green light from the Obama administration. The Dow Jones Sustainability Index (DJSI) will see a new addition to its lineup of ethically tested, high market cap global companies, as US firm Kroger joins the roster. Retail food chain Kroger, which produces its own food line and also operates 7326 ‘fine jewelry’ stores, announced its inaugural listing on 27 September. Firms like Kroger are assessed by the DJSI’s partner RabecoSAM, which questions a pool of 2500 of the largest world companies, based on free-float market cap, on several criteria. In 2013, a total of 1,831 were rated, with 818 completing questionnaires and 1,013 assessed exclusively using public information. The first criterion is environmental, for which the assessment is based on the CDP framework, with the firm submitting figures on its greenhouse gas emissions, energy use, risks to its supply chain, and measures it is taking to remedy these. It is also assessed on its water usage and possible deforestation impact. As part of its submission, Kroger described how it was making progress towards the Environmental Protection Agency’s Zero Waste threshold of 90% in all its retail locations: to reach its goal, it said, it would increase the ‘diversion rate’ to 65% for all stores by the end of 2013, and to 70% by the end of 2015. As part of its current 58% diversion rate, Kroger utilises processes like converting its waste to biogas through anaerobic digestion. At the Ralphs/Food4 Less distribution centre, it processes around 150 tons of food waste daily, which will offset more than 20% of the energy demand for the 650,000 square foot Ralphs/Food4 Less distribution centre, and reduce the net distance of truck trips by over 500,000 miles a year. The other DJSI criteria incorporate stakeholder engagement, i.e. the extent of local or employee ownership and involvement; product stewardship; operational eco-efficiency, for which there are two possible denominators to standardize the environmental data provided, revenues and production volume. And finally, recent addition Financial Stability and Systemic Risk. Kroger takes a leading role in grassroots community work, as a founding partner of Feeding America, a nationwide outreach programme for those in food poverty. In 2012, it worked with over 80 local food banks to donate the equivalent of 200million meals. As regards product stewardship, it claims its implementation of a refrigerant management plan and improved fleet productivity has led to a 4.8% reduction in its overall carbon footprint. Weighting the index – what kind of a punch does the USA pack? DJSI evaluators take 600 or 800 of the largest companies in the distinct regions of the USA, North America, Europe, the Eurozone, Emerging Markets, and Asia-Pacific. Korea and Australia are treated as individual entities. The various geographical sets form separate funds as well as being aggregated for the DJSI World, ex-US and World Developed Composite indexes. The team selects the top 10 or 20% firms from reach region in terms of sustainability, and groups them into industry categories, appointing an industry leader for each one. Nestle leads the ‘Food, Beverage and Tobacco’ group. Since recovering from the scandal surrounding its campaign to promote powdered milk as a breast feeding substitute several years ago, it has gone from strength to strength. Woolworths is fighting back from Australia, leading the ‘Food & Staples Retailing’ Group. French telecoms giant Alcatel-Laurent heads the ‘Technology Hardware & Equipment’ Group, and Switzerland’s Roche tops the ‘Pharmaceuticals Biotechnology & Life Sciences’ Group. Citigroup, headquartered in the US, was considered the most ethical among ‘Diversified Financials’. Putting aside comparative virtuosity scores of the global heavyweights, it is interesting to see that the DJSI outperformed the Dow Jones today (27 Sep), at the start of trading at 9.34am GMT-4. While the Dow was down 157.41 (-1.03%), the DJSI World Developed Composite Index was -0.99%, and the North America Composite -0.50%. Moving away from the ‘broad-market’ indexes to the DJSI Blue-Chips which select only the most profitable companies, the World ex-US 80 were up 0.16%; while the Japan 40 was up an impressive 0.36% and Asia Pacific had climbed 0.26%, as smart money continues to flow towards these highly liquid markets. Most significantly, the NA ex call Index, a subindex which excludes gambling, tobacco, armaments and firearms, and adult entertainment (there are additional either/or options for these last two sectors), had fallen just -0.40% compared to the NA Composite’s -0.50%. An enduring testimony to the benefits of being a conscientious investor? The newly patented GasReformer device can recycle waste gas emitted in oil production, and reuse it to power oil rigs. 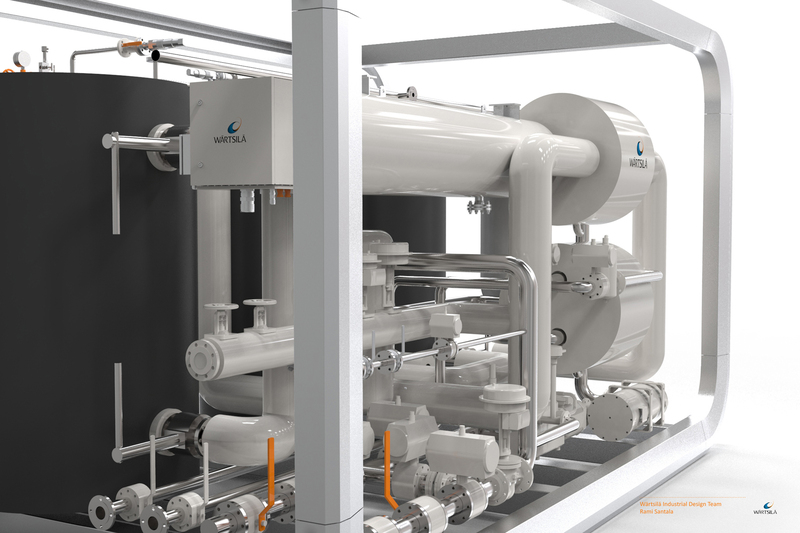 Wärtsilä claims that by using the GasReformer, and a dual-fuel engine which alternates between oil and associated gas, operators can cut the need for bunkered fuel oil by about 35–39 tons per day; so as well as drastically reducing CO2 emissions, it increases operational efficiency. The device is aimed principally at offshore oil rigs, which have little capability of storing the associated (petroleum) gas produced from crude oil, when it is heated to make it less viscous, and easier to pump and handle. 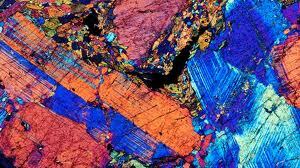 This associated gas is, if untreated, too volatile for use as fuel because it contains a lot of heavier hydrocarbons. 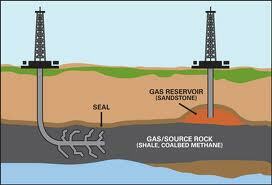 Many oil production facilities burn off this waste gas, as the cheapest and easiest way of getting rid of it. This practice is known as gas flaring, and is not without negative environmental and social effects. Gas flaring is most prevalent in Russia, with Nigeria the second most culpable. It seems almost a criminal waste in Nigeria, where gas and electricity supplies are well below that necessary to meet demand. South Africa, which has a third of the population of Nigeria, generates more than 10 times as much as power. This being said, in September 2014 Nigeria publicly committed to tripling its natural gas production from 4 billion cubic feet (1.2 billion cubic metres, bcm) a day, to 11 billion cubic feet (3.45 bcm) a day. Gas treatment facilities will form part of the expensive, comprehensive new infrastructure. Figures for gas flaring volume in 2013, derived from satellite data, are still a work in progress by the World Bank. But the Global Gas Flaring Reduction (GGFR) public-private partnership, led by the World Bank, has reported that global volumes fell by by 20% between 2005 and 2011, from 172 bcm to 140 bcm. In 2011 Russia still burnt off 37.4bcm of ‘waste’ gas, which could have been reused with the necessary infrastructure. At the 2011 GGFR forum, Rachel Kyte of the World Bank claimed that in sub-Saharan Africa, purely for lack of equipment to store and treat it, the gas then flared was equivalent to half the total energy consumption. Perhaps the most significant step taken to combat the practice is in Iraq, where a combined venture between Shell, Mitsubishi and Iraq’s South Gas Company, the special purpose venture ‘Basrah Gas Company’ launched in 2013 claimed to be “the world’s largest flares reduction project”. Compressors were leased to capture and process gas flared from three major oil fields in southern Iraq – Rumaila, West Qurna 1 and Zubair. The GasReformer reduces emissions by stabilizing gas rich in heavy hydrocarbons, converting it to a methane-rich product that can be reused in dual-fuel engines. The equipment ensures the methane number of any fuel gas is improved to 100 ± 5 by converting the heavier hydrocarbons to synthesis gas (H2 + CO), and finally to methane (CH4).This process is based on the established practice of “steam reforming,” which is performed in refineries and petrochemical plants: in this context, of deriving hydrogen from hydrocarbons. The GasReformer using the same catalytic process but different conditions (of heat and pressure). The company Wärtsilä Gas Systems, Helsinki, has won the Offshore Technology Conference’s 2013 Spotlight on New Technology for its invention. The demanding selection criteria for the award, which state that a winning invention must be “original, groundbreaking, and capable of revolutionizing the offshore E&P industry”, reflects the product’s proven and significant benefits for offshore exploration and production. OmniView Capital Advisers (OCVA), a privately held investment advisory and merchant bank which has overseen over $1bn in debt and equity transactions, has appointed Jeffrey Devlin, an advertising and entertainment veteran, to its Board of Directors. He is being promoted from his current position as OCVA’s Chief Marketing Officer. Devlin has worked as Senior Vice President at Lintas Worldwide Advertising. He won over $70 million in accounts at Doner Advertising where he served as Senior Vice President of New Business Development. His clients included major companies and organizations including the National Football League (NFL), Atari, The Coca-Cola Company, Intel, and Sirius XM Satellite Radio, of which he is a senior adviser. Over his time working in the advertising industry, Devlin was heaped with plaudits and awards. The list includes 17 CLIO Awards; 16 Andy Awards for advertising excellence; 21 Telly Awards for outstanding commercials; four Effie Media Awards; and a shiny Gold Camera from the U.S. International Film Festival. His award-winning piece for Visa, Olympics, has a permanent place at the Museum of Modern Art (MOMA) in New York. Smart energy company Trina Solar supplied 61MW of Solar PV Modules for an energy generating scheme in the German federal state of Brandenburg. The rows of modules now extend for more than a kilometre along the converted Preschen airfield in Jocksdorf, Brandenburg. More than 252,000 multi-crystalline Trina Solar modules, each with an average output of more than 240Wp, have been installed on the former airfield in Jocksdorf. The PV park that now covers the former military field has been fully commissioned and is considered to be among the most efficient plants in the world. It provides clean solar power covering the annual energy needs of around 17,000 households. Poland has become the first European country to acquire Boeing 787 Dreamliners, thanks to a $500m loan guarantee by Ex-Im. The US Export-Import Bank has assumed responsibility for collecting on the loan to Polskie Linie Lotnicze LOT S.A. (LOT Airlines), on behalf of the American manufacturer. This arrangement falls under its Supply Chain Finance Guarantee program. At the end of financial year 2012, Ex-Im Bank’s credit exposure in Poland totalled just $5.5m, so the deal is a significant financial leap. Yet the relationship is not without precedent; LOT was the first Central and Eastern Europe to operate American-manufactured aircraft after it was founded in 1928. 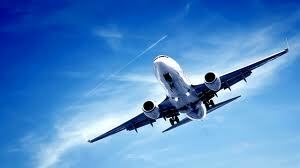 It is the only airline to offer non-stop flights between Poland and the US. Bank estimates put the number of American jobs created from the deal at 2,500, according to data and methodology from the Departments of Commerce and Labor. Nippon Export and Investment Insurance of Japan is co-financing the transaction. Apple Bank for Savings of New York extended the loan. UAE’s Spectrum Draws on British IT Expertise to Help Automate its Environmental Innovations. UAE-based multinational company Spectrum has commissioned a facility to treat incinerator bottom ash (IBA), toxic residue resulting from burning coal and waste in power plants. The Emirates Center for Strategic Studies and Research, (ECSSR) has formed a strategic alliance with the Chartered Institute of IT to consult on expanding technological infrastructure in the region. The Gulf Cooperation Council (GCC) is also participating in discussions. In recompense, the ECSSR has offered to assist in helping the London-based Chartered Institute IT, in making a success of the 2013 International IT Conference. Sheikh Nahyan bin Mubarak Al Nahyan, Minister of Higher Education and Scientific Investigation, has also offered his patronage. Pangea wants to bring natural gas to all global buyers, without discrimination. Pangea LNG (Holdings, LLC) is seeking approvals necessary to build a liquefied natural gas export facility on Corpus Christi Bay in South Texas. It has filed an application with the U.S. Department of Energy, seeking authority to export up to eight million metric tons per year of liquefied natural gas to all current and future countries with which the U.S. has a Free Trade Agreement. It intends to quickly file a similar application for LNG exports to any country with which the U.S. does not have a Free Trade Agreement. Pangea has had the site under option since June. It is planning a separate pipeline project to link the LNG plant to the national gas transmission pipeline network in South Texas. Its global portfolio of export facilities includes an offshore floating LNG liquefaction project in the Eastern Mediterranean Sea. Uranium Resources has appointed a new independent director, Mark K. Wheatley, bringing it in line once again with NASDAQ guidelines on corporate governance. He is currently a director of Xanadu Mines and Goliath Gold, and was a director of Gold One International until the end of 2012. He was previously a director of Uranium One Inc from 2005-10 and was CEO and then Chairman of Southern Cross Resources before it merged to become Uranium One. Dramatic news from Uranium Resources, which has announced a reverse stock split with a one-for-five ratio. The move, which will increase the price of each share by five times by reducing the total shares issued by the same factor, was necessary to enable it to meet the minimum bid request required to keep its NASDAQ listing. The decision was approved by 73.9% of its stockholders in a vote on Jan 14. Uranium stocks have been earmarked by SeekingAlpha.com as generally undervalued in view of the expanding market for nuclear energy in 2013. However, the companies it suggests taking a strategic position in are Cameo, which it describes as a “profitable and well-known uranium producer”; and Denison Mines Corp for its large stake in the Athabasca Basin in Canada, which contains some of the world’s richest high-grade uranium deposits. Cameo is predicted by analysts to earn $1.38 in 2013. Denison, whose shares are trading at just over $1, might yield larger pay-offs in the long-term but have a less established record. 2. Colossal $1.4bn equity raised by Blackstone Minerals LP, one of the biggest privately held royalty and fee mineral owners in the US and headquartered in Houston, Texas. As a result of a multi-stage exchange process, investors in institutional funds and co-investment vehicles exchanged diverse interests in Blackstone Mineral’s assets for $1.1bn in partnership units. CEO Thomas Carter is quoted as saying the deal has given Black Stone “the critical mass to move quickly on significant mineral acquisitions without putting undue pressure on our balance sheet,” but the company has not issued any further details as to its future plans. From its humble roots as a local family-owned business, Blackstone Minerals has grown to encompass 50,000 wells across 41 states. Advising the deal was a Specified Investor Group (SIG), formed of Vinson and Elkins LLP who counselled on legal matters, and Tudor Pickering Holt and Co. as financial advisers. According to the U.S. Energy Information Administration (EIA), 33 percent of technically recoverable natural gas resources in the United States are held in shale rock formations. It asserts that in one decade, natural gas from shale has grown to 25 percent of U.S. gas production, and will be 50 percent by 2035. Yet the extraction process, of pounding tons of pressurised water and chemicals at the shale to crack it open, has been accused by environmentalists of contaminating drinking water surrounding wells. 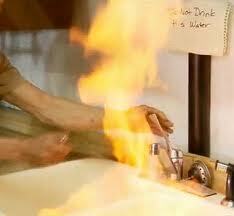 Footage seems to show locals setting light to tapwater because of high levels of methane. The US Environmental Protection Agency has released its initial report on Hydraulic Fracturing’s possible contamination of the water supply, and highlighted key points in a webinar last Friday. Nine major oil and gas companies have provided details from 350 well files, from 50 randomly selected but geographically representative sites. Some Confidential Business Information (CBI, subject to state legislation) was necessarily protected. It has also conducted a comprehensive review of existing studies, as well as whatever has been recorded in federal and state databases, which has proven somewhat piecemeal. Finally, it reviewed data compiled from FracFocus, an online repository of information regarding the chemical compositions of fracking fluids used in specific wells. This joint project from the Ground Water Protection Council and the Interstate Oil and Gas Compact Commission has proved perhaps the most popular with oil and gas companies who seek to share selective disclosures. Three of the participating companies, BJServices Company, Halliburton, and Schlumberger together performed approximately 95% of hydraulic fracturing services in the United States in 2003 (US EPA, 2004). The other six companies represent small and medium-sized companies performing hydraulic fracturing services between 2005 and 2009. Nevertheless, it is a lucrative industry. The full list, together with their annual revenue for 2009 in millions, is as follows: BJ Services Company $4,122; Complete Production Services $1,056; Halliburton $14,675; Key Energy Services $1,079; Patterson-UTI Energy $782; RPC $588; Schlumberger $22,702; Superior Well Services $399; Weatherford International $8,827. These firms have contributed information on the chemicals most commonly used in hydraulic fracturing, which the EPA has cross-referenced with substances associated with the process already reported to the government, and monitored under the Safe Water Drinking Act (SDWA) or as Hazardous Air Pollutants (HAP). Top of the list is methanol, which is used in 342 products; ethylene glycol is also recognized as being a health risk, and is the fifth most widely used substance. Methanol is toxic, and when ingested can cause metabolic acidosis (excess acid), neurologic sequelae, which are the degenerative neurological symptoms also associated with lupus, and potentially death. Appendix A of the report contains the prurient information for all of the following: material Safety Data Sheets (MSDSs) for each fluid product; the concentration of each chemical in each fluid product; the manufacturer of each product and chemical; and the purpose and use of each chemical in each fluid product. It was decided furthermore not to peruse Wyoming’s catalogue of incidents because of their failure to differentiate between their causes, meaning they were indistinguishable from other oil and gas incidents. Though the data is in this case publicly available. In New Mexico, release notifications are submitted to the Oil Conservation Division of its Minerals and Natural Resources Department which manages databases on spill incidents and water contamination. Investigators searched for the terms “acid in blowout”, “Frac tank”, “pit”, “Gelled brine (frac fluid), “natural gas liquids”, and “produced water.” They noted that the database does not list whether the company returned is engaged in fracking. In Pennyslvania, the EPA tried to narrow database entries returned to those around the Marcellus Shale region which had not thus far, under inspection, resulted in violations of the Pennsylvania Department of Environmental Protection’s Compliance guidelines (so as not to cover ground previously investigated.) Whatever information was gleaned was pooled, and supplements reports contributed by the participating companies. The nine key stakeholders were sent information requests, and asked to participate in several technical workshops. Issues under discussion included: “What are the identities and volumes of chemicals used in hydraulic fracturing fluids, and how might this composition vary at a given site and across the country?”. Or the less specific, “How effective are current well construction practices at containing gases and fluids before, during, and after fracturing?” The EPA inquired too about blowback: “What is currently known about the frequency, severity, and causes of spills of flowback and produced water?” and about the composition of backwaters, before and after treatment. The EPA notes that information concerning the composition of wastewater is organized according to geologic and geographic location, and time after fluid injection. And to conclude this expose, here’s a choice taster from the report itself… Unfortunately we will have to wait till 2014 until all its findings have been reviewed by the EPA’s Science Advisory Board and a final conclusion can be reached. I’m sure you will all be waiting with baited breath. The EPA is creating queries on the extracted data that are expected to determine whether drinking water was protected. 1. Electronics giant AMETEK, which makes $3.4 billion of sales a year, has made two international acquisitions to enhance its global product range: Sunpower, Inc and Crystal Engineering. The former brings new devices to AMETEK’s existing electronics catalogue; assimilation with the latter’s products, which are similar to AMETEK’s should reduce unnecessary competition. 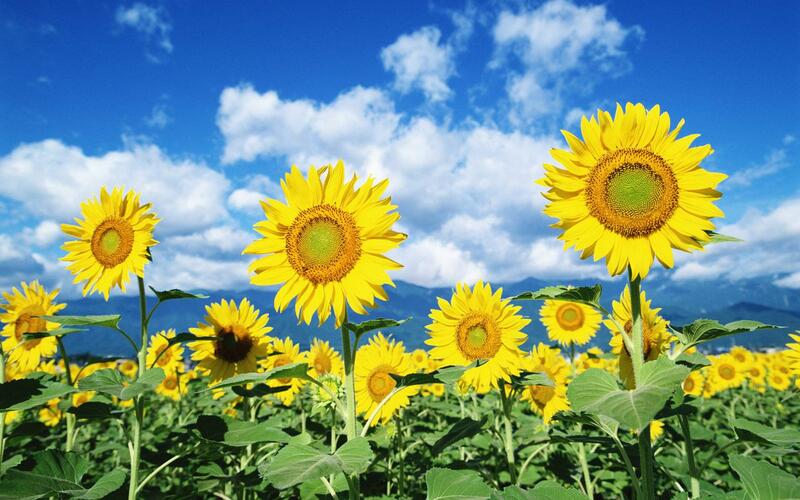 Sunpower is a privately held manufacturer based in Athens. It designs and builds cryogenic cooling technology and externally heated Stirling cycle generators. Its cryogenic coolers facilitate temperatures below -150°C, without resort to more expensive liquid nitrogen; this technology will form a part of AMETEK’S portable radiation identifiers. Its heat engines are used in energy-efficient combined heat and power generators. 2. Sunpower is making headlines for another reason, having just sold the world’s largest Solar Development to Mid-American Solar. MidAmerican Solar, a subsidiary of MidAmerican Renewables, has acquired the 579-megawatt Antelope Valley Solar Projects (AVSP), two projects in Kern and Los Angeles Counties in the state of California. Together, the two combined projects will form the largest solar photovoltaic power development in the world, and create an estimated 650 jobs during construction. SunPower has more than 1,000 megawatts of solar power plants operating worldwide, including the first 130 megawatts of the 250-megawatt California Valley Solar Ranch, which is still under construction in San Luis Obispo County, California. 3. Resource scarcity will be a key topic at the 12th Annual Responsible Business Summit, held in London 7-8 May. Discussions about supply chain management will also feature at the conference, organised by Ethical Corporation. Head of Sustainable Business at M&S, Mike Barry, said in Ethical Corporation’s end of year survey: “Extreme weather is going from a theory to a new reality. Middle class consumers will triple in the next 20 years with all the strain this puts on resources.” With the dual impact of both these factors, he asserted it was time the sustainability debate lost its “cosy” reputation and was taken seriously.